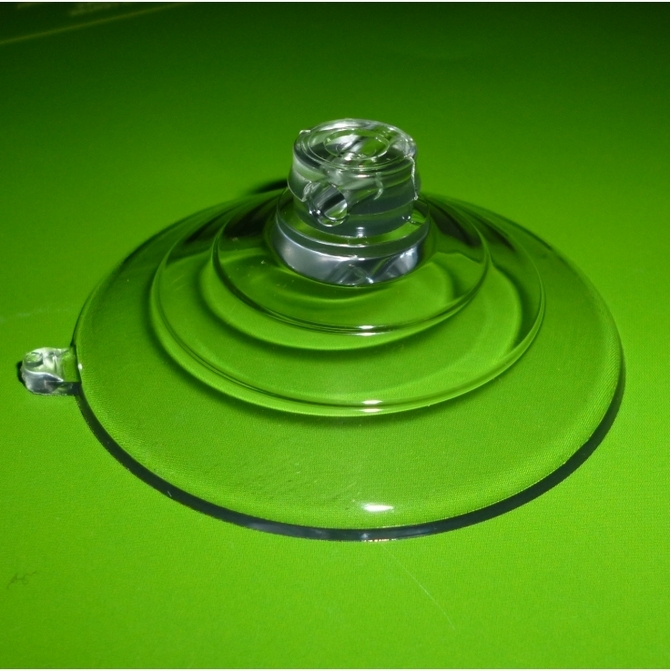 Large suction cups with side pilot hole. Suction Cups Direct. Adams large suction cups with side pilot hole, hang heavy items by string, cord or dowel in window displays. 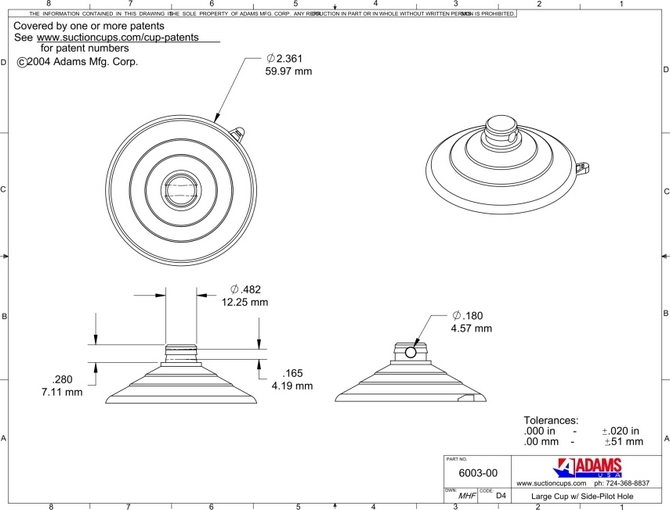 Adams large 64mm diameter suction cups are rated to hold 7 pounds (3.2kgs) each in weight. Fit them to a flat, dry, clean, smooth/slick non-porous, non textured surface like glass, mirrors, glossy plastic, glazed ceramic tiles, car bodywork etc. Use the quick release tab to remove or re-position.